Do I really need a professional to photograph my place, can't I just use a compact camera or my iPhone? Yes you do & here's why! Our hectic lives mean that as an accommodation provider or real estate agent, you have only a few seconds to catch a potential guest or buyer’s attention. Whether it’s a cave or a luxury ocean front villa, powerful, striking and perfectly exposed and aligned photographs, with the proper lighting, are essential to promote any establishment. It's a proven fact that listings with high quality images gain more interest from potential customers, keep them interested for longer, and are more likely to result in a sale than those without. Why would anybody spend hundreds of thousands, or even millions of Rands building and equipping the perfect property, yet not make the effort to market it to its best potential? 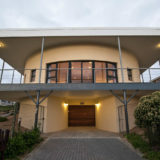 It simply doesn’t make sense to market a multi million Rand home, whether it be for sale or as a holiday rental, but not present it at it’s very best on the web. Nor does it make sense to spend many precious hours creating the perfect venue, and then use an iPhone or compact camera to show it to potential paying guests or buyers! Large companies and corporations spend vast amounts of money on advertising. They use professional photographers, models, and teams of professionals to apply makeup and manipulate lighting so as to exploit the maximum amount of potential from an image, why? An app or website like Airbnb, Booking.com or Property 24 is the only marketing tool for many property owners, it follows that images intended for marketing should be of the best possible quality. 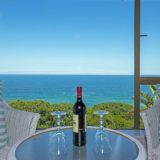 The majority of searches by those seeking to buy a property or rent a holiday spot begin online, that perfect first impression might be the difference between gaining or losing a potential buyer. The photos are the last component over which you have control before your establishment is presented to the public, it’s your last chance you make your property look amazing for potential guests or buyers. I’ve been building and marketing travel and property websites for years, and have learnt what works and what doesn’t. I can provide professional quality photography, at a surprisingly affordable price, to showcase your property at it’s very best. My fees are around R1495 for an average 2 to 3 bedroom apartment or house, travel within 100km of George included - contact me for a quote on smaller or larger properties and sunrise / sunset shoots. I can also arrange drone photography where it is appropriate, to provide a totally unique aerial perspective of your property. The amount of time that buyers spend browsing through listing photos online when considering whether to buy (Wall Street Journal). The percentage of additional views that listings with professional quality photos receive over those with lower quality images (Redfin). The difference in the time you have to catch a potential customer’s attention with vs without high quality photos (Market Leader). The percentage of conversions that happen faster, or immediately, on properties with professional quality photography (PR Newswire). Aren't those some compelling reasons to hire an expert?